When you enter the doors of Rogers Park Montessori School, you walk into the hallways of a state-of-the-art educational facility with a deep commitment to delivering quality Montessori education. You also become a part of a very special community. 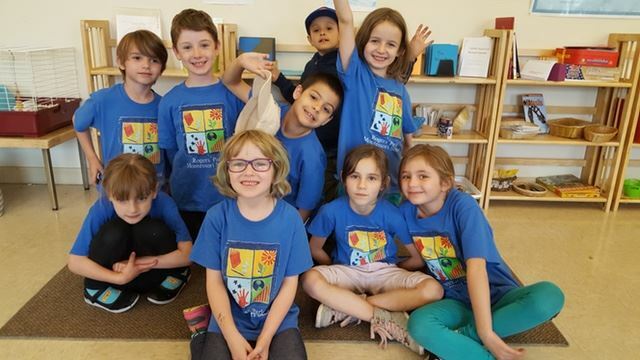 For over 50 years, our entire community – parents, students, faculty, staff, alumni, grandparents, and friends – have been an integral part of our successful efforts to provide exceptional Montessori programming. We could not accomplish what we do every day for the children of RPMS without this support. RPMS is an independent, non-profit, tax-exempt organization that receives no public funding. For this reason, we rely heavily on a spirit of philanthropy in our RPMS community to enrich our programs and improve our facilities. Each gift is important, and no gift is too large or too small. There are a number of ways you can support RPMS. We invite you to explore the various ways to become actively involved in the RPMS community through financial, or time, expertise, and resource contributions. To learn more about how to get involved, or for instructions on how best to structure your gifts, contact our Director of Advancement at 773.271.1700 x414 or kromain@rpmschool.org. The RPMS journey is unlike any other; a journey of incremental, individualized growth, during which our children become fearless learners by both embracing mistakes and celebrating successes. It is a journey grounded in a commitment to diversity, inclusion, equity, and cultural competency; a journey that encourages our children to be critical thinkers, innovators, and global citizens who are deeply connected to the community and the world around them. This is the RPMS journey, and it begins the moment the exuberant toddler enters the front door and continues until the confident adolescent exits as an RPMS graduate. 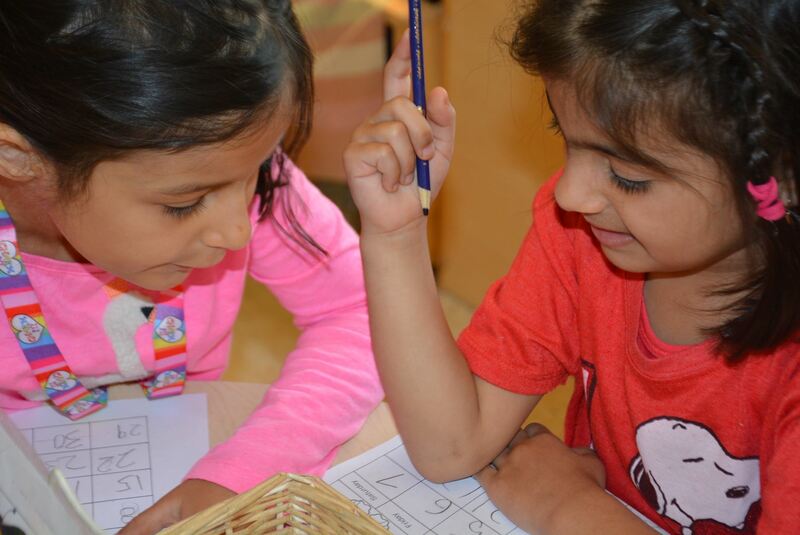 Enriching the thoughtfully-prepared Montessori environments that create the foundation for our academic excellence. Every child’s journey leads to a future that will need the skills and values they are developing at RPMS. As our top fundraising priority, we look to each family to contribute directly to the Fund annually to the best of their ability. Join the generations of parents, grandparents, alumni, and friends who have contributed to making each child’s RPMS journey truly exceptional. We kick off the Annual Fund drive each fall, and have both financial and participation goals. Our 2018-19 goals are $200,000 and 100% family, Board, and faculty/staff participation. The average gift to the Annual Fund is currently $750, with gifts ranging from $100 to $6,000. Please click here to make a secure one-time gift. You may also set up a recurring credit card gift or pledge for future payment. Many companies sponsor matching gift programs that can double or triple your contribution. Please obtain your employer’s matching gift form, and send it with your donation. RPMS is grateful for non-monetary gifts which can be used for our programs. Please contact Kim Romain at kromain@rpmschool.org or 773.271.1700 x414 to arrange a gift in kind. If you would like information regarding gifting securities to RPMS, or making a cash gift via wire transfer, contact Kim Romain at kromain@rpmschool.org or 773.271.1700 x414. Please notify our office of your transfer so we may coordinate the proper acknowledgement. Rogers Park Montessori School has a rich history of Montessori education, serving the needs of the child and providing an inspiring environment in which children can reach their highest potential. These opportunities are made possible through the generosity and commitment of our current families, alumni, grandparents, and friends who have given financially, as well as through their time and resources. We are honored to have a number of families who are on their second generation of RPMS students. As our community continues to grow, we offer creative ways to carry on this legacy of giving to RPMS. These include cash and non-cash gifts (securities, life insurance policies, etc. ), retirement plan distributions, and income producing gifts, to name a few. Please contact our Director of Advancement at kromain@rpmschool.org to discuss what charitable giving options may be best for your family. Please contact us to find out more information about our upcoming special events. For more information on Special Events, please contact Associate Director of Advancement, Billy Surber at 773.271.1700 x415 or bsurber@rpmschool.org. Effortless Fundraising is truly an effortless way to support RPMS. When you shop at the following stores, RPMS earns a percentage of sales at no cost to you. You shop. Amazon gives. Amazon Smile is a simple and automatic way for you to support Rogers Park Montessori School every time you shop, at no cost to you. 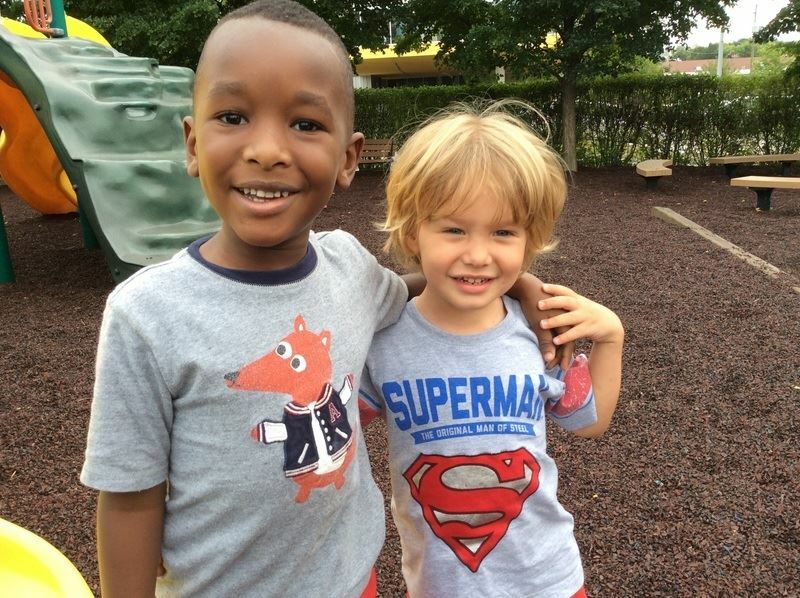 Simply click on the logo below or go to smile.amazon.com, search for Rogers Park Montessori School and select it as the charitable organization to receive donations from your purchases. Be proud to show your colors! Visit the online RPMS Spirit Store or watch for us at an event near you where you can buy t-shirts, pins, hats, bumper magnets, and more! Go to http://www.cafepress.com/rpmschool to start shopping or contact Associate Director of Advancement, Billy Surber at 773.271.1700 x415 or bsurber@rpmschool.org, for more information on showing your school spirit! Looking for products to help you build a non-toxic, eco-friendly and stylish home for your family? Click here or on the logo and when you shop and 15% of your purchase will be donated to RPMS. 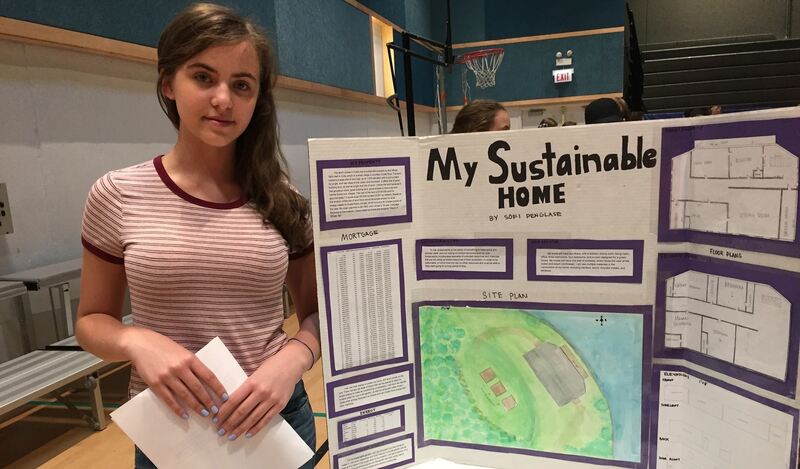 Simply click on the button to the right or go to mightynest.com, click “Schools”, “Find My School”, and search for Rogers Park Montessori School. Select it as the charitable organization to receive donations from your purchases. Clip this logo from products like Kleenex and Cheerios and send then into school with your child, or purchase items online by clicking here. 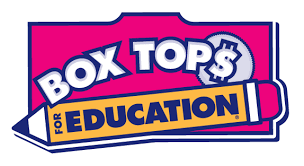 RPMS receives 10 cents for each Box Top. Don’t want to wait until the next Book Fair? When you shop online at Anderson's 20% of your purchase is given back to the school. Simply go to www.abcfairs.com, search for your books, and add them to your cart. During the checkout process enter Rogers Park Montessori School, Chicago in the delivery information section. The Annual Fund is the school's most important charitable giving program. The Annual Fund is the primary way in which parents, grandparents, alumni, and friends make philanthropic gifts to RPMS each year, making it our most broad-based, flexible and dependable source of gift revenue. Current families are encouraged to make The Annual Fund their first giving priority while their children are enrolled. Gifts are unrestricted and are used immediately for current programs such as scholarships, faculty compensation and professional development opportunities, co-curriculars, arts and field trips. For current families, gifts to the Annual Fund help complete the operating budget above tuition and fees, an amount equal to about $1,000 per family annually. Operating a school like RPMS is a costly undertaking. Tuition and fees do not cover the full cost of operation. As part of our mission, we believe a diverse experience gives students a realistic world view. For this reason, we are committed to keeping tuition affordable for a wide range of families to ensure our students enjoy a diverse experience at our school. We could increase tuition, but we feel there's a place for fundraising in a school like ours. As a 501(c)(3) not-for-profit institution, donations to RPMS are tax-deductible to the extent allowed by law. Tax deductible giving is a smart way to channel needed funds to RPMS for daily operations and also help moderate tuition increases from year to year. All gifts made to the Annual Fund between September 1 and August 31 are included in Annual Fund totals. The Annual Fund campaign runs from September 1 through December 31 with a push for 100% family and staff participation in the first 100 days of school. Some donors make a cash gift immediately; others initially specify a pledge to be completed before the end of the school year. Because the Annual Fund supports current purposes, pledges and gifts made early in the school year provide the greatest flexibility in delivering the schools mission. Why is 100% family participation in the Annual Fund important? Believe it or not, your participation in the Annual Fund matters more than the size of your gift. It is our goal to engage 100% of the community in philanthropy because it sends the important message that we believe in our school to prospective donors such as foundations, grant-makers and other major donors who are choosing whether to make leadership gifts to RPMS. Donations may be made with a check, credit card, or through the transfer of stocks and securities. Click here for more information on Ways to Give. Do donations at RPMS special events count toward my Annual Fund contribution? No. Donations made at RPMS special events do not count toward your Annual Fund commitment. Both the Annual Fund and Special Events fundraising initiatives have separate financial and participation goals, and both are imperative in order to balance our annual budget. Do corporate matching gift amounts count as part of an Annual Fund gift? Yes. Corporate matching gifts count toward the Annual Fund goal and also toward gift circles. What are the RPMS Gift Circles? Contact the Director of Advancement at 773.271.1700 ext.414 or kromain@rpmschool.org if you have any questions.